In this previous post, I introduced Azure Event Hubs (to myself mostly). In this post, I’m going to attempt to create a very basic multi-player game, using Event Hubs to manage the multi-player part. 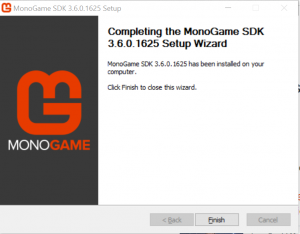 I’ve previously written extensively on MonoGame, although I haven’t done anything with it for a while. The first step is to install the MonoGame framework from here. At the time of writing, 3.6 was the latest version. This was released over a year ago, so maybe that says something about the direction this game platform is going. I’ve heard a lot of rumours about Microsoft buying Unity (which I believe is ultimately based on MonoGame) so it’s odd that they wouldn’t want to take this over (especially given that it’s a fork of XNA). For now, we’ll create a Windows MonoGame Project. 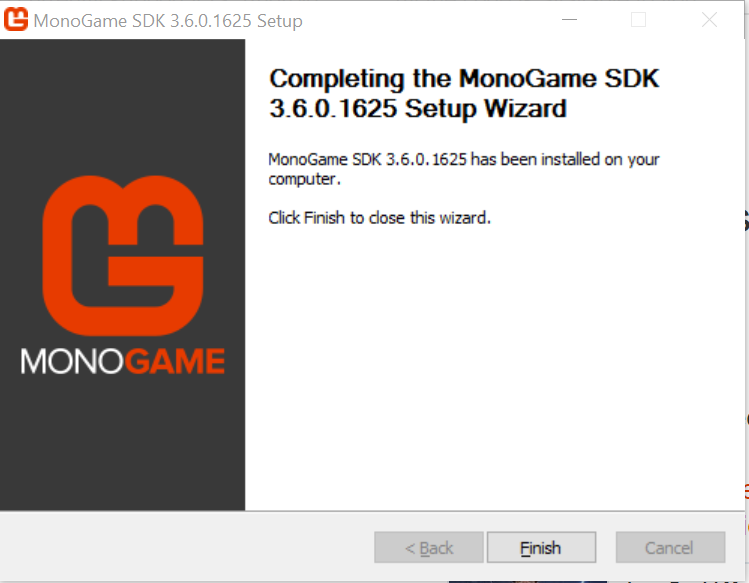 For the purpose of this example, you’ll need to install the MonoGame.Extended NuGet package. As you can see from the above code, we’re just moving a ball around the screen. If you installed this on a second machine, they would also be able to move that ball as well; at this stage, neither screen would be aware in any sense of the other screen. 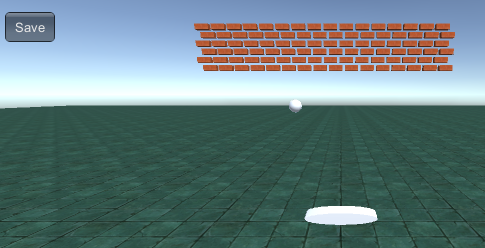 The next step is that we want to see the ball from the first screen on the second. We won’t mess about with collision, as this isn’t about the game, it’s about the Event Hub traffic. The EventHub client library in the post mentioned above is for .Net Standard only, so we’ll need to use the Service Bus Client Library. I’ve taken this opportunity to replace the Vector2, which is a struct, with class members. Changing the data in structs can end up with strange behaviour… and in this particular case, it point blank refuses to let you, but gives a message that says it can’t recognise the variable. SendPlayerInformation is a fire and forget method. Generally, using await statements inside MonoGame can cause some very strange, and difficult to diagnose issues. The reason being that the premise of a game loop is that it executes repeatedly – that’s how the game keeps updating: the Update method allows you to rapidly change the state of the game, and the Draw method allows that state to be rendered to the screen. However, if you stick an await in there, you’ve returned control to the caller, and because none of the MonoGame stack works with the async / await paradigm, the result is that the entire loop waits for your task. In the Draw method, this will result in an obvious blip in the rendering; but in the Update method, the effect will be more subtle. As you can see, there’s a bit of faffing to get this going. The code does seem a little convoluted, but essentially all we’re doing is finding any messages that were queued after we started processing (this is a very crude checkpoint), and then look for that Player Id; if we find it then we move it, and if we don’t then we create it. There’s also a little check in there to make sure we’re not processing echos! As it stands, this only registers the clients on start-up, meaning that, whilst client 2 can see client 1, client 1 cannot see client 2. As you can see, the player on instance one is replicated on instance two. Remember that it only starts broadcasting after movement, so the player will need to move to appear in the second instance. In the next post, I’ll investigate the possibility of using a game controller to allow both clients to interact simultaneously (or at least be simultaneously visible). 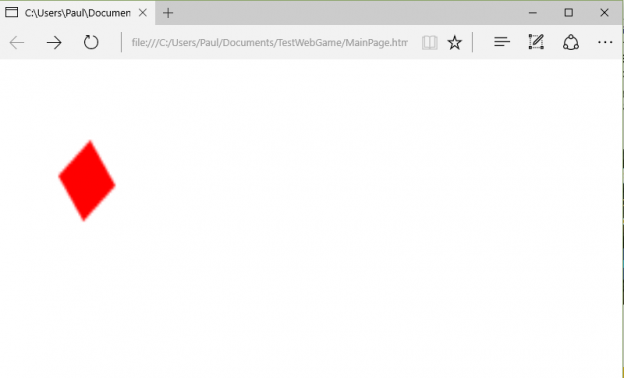 This entry was posted in Azure Event Hub, Game Development, Monogame and tagged EventHub, Monogame, Multi Player Game, ServiceBus on June 12, 2018 by pcmichaels. 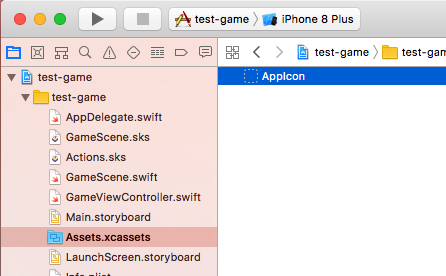 In this post I set out to create a series of posts that would walk through creating a basic game in Swift. In the post preceding this one I covered collision, and now we are moving on to graphics. We’re not there yet, though. The next post is the final one, in which we’ll add a score, deal with the overlapping aliens and probably reduce the size of the ship. Also, if you run this, you’ll see that after a short amount of time, it uses a huge amount of memory tracking all the aliens, so we’ll limit the number of aliens. 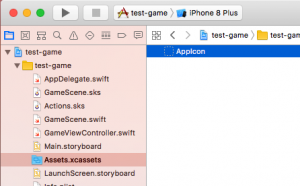 This entry was posted in Game Development, Swift, Xcode and tagged Graphics, iOS, Swift, Xcode on January 21, 2018 by pcmichaels. 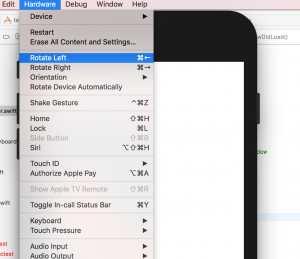 In this post, we covered how to move an object on the screen; this time, we’re going to control it. However, before we do, let’s change the game orientation to landscape only, as that’s really the only thing that makes sense on an iPhone for this type of game. As you may have noticed from the previous post, we do have a modicum of control over the rectangle; let’s now change that so that we can press to the left and have it move left, or on the right and have it move right. Remember, this is a landscape only game. * Remember, when holding an iPhone or iPad, the button should always be on the right hand side – without wishing to judge, anyone that feels different is wrong, and very possibly evil. 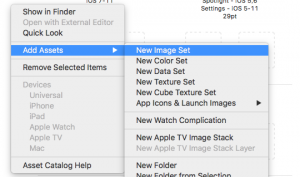 This entry was posted in Game Development, iOS, iPhone, Swift and tagged iOS, iPhone, Space Invaders, Swift, touchDown, touchesBegan on December 26, 2017 by pcmichaels. 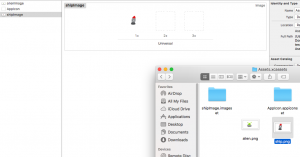 Imagine, for a minute, that you want to rotate a red square around its centre… on a web page. Following on from my previous post about games using HTML5 / JS this post details how to do such a thing. Whilst I may, during my school years, have been able to explain the sum above – I just copied it from the internet. Given the number of places where is looks exactly alike, I would guess that I’m not the first person to do that. Just using the three lines above will give you a rotating rectangle; however, the rotation axis will be 0, 0. It took me a while to understand exactly how this works, but the key is `translate`. The centre of the context is now 20, 20! There are two ways to reset the offset – you can simply negate the offset (by calling it with negative values), or you can call ctx.save() before the change, and ctx.restore() afterwards. The key part to note here is the call to fillRect. Because the translate has now set the centre to be the centre of the drawn image, the image needs to be positioned at -(image width / 2). … and you, too can have a spinning red rectangle on your screen. This article discusses how to go about creating a basic game loop in HTML5 / JS and to implement control over a sprite. A few years ago, when Microsoft released the idea of WinJS, I wrote a game in HTML5/JS (or WinJS – they are not exactly the same). The loop executes every 20ms, meaning that there are 50 frames per second. 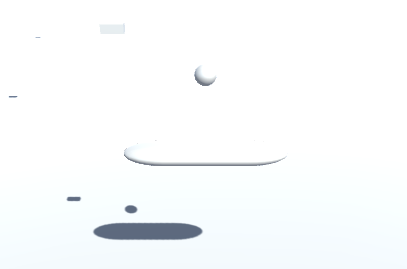 <canvas id="mainCanvas" style="width: 100%; height: 100%"
There are two events handled here, because there are two things that the player can do: they can interact with the game (i.e. press a key), and they can resize the browser window. We need to react to both. 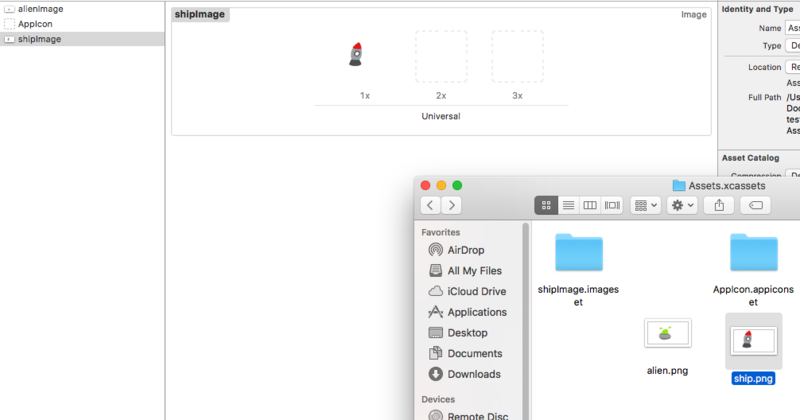 As you can see, there are effectively two parts to this function: firstly, the canvas is cleared, and then the items (in this case, a single item) are drawn to the screen. The important variables here are x and y, because that dictates where the square is drawn; the rest could be hard-coded values. There are three parts to the Update. The first is to perform any initialisation: in my case, I focus on the canvas and call the resize event here. This potentially could be done on an event, but you would still have to check inside this loop if it had been done. The second is to stop the player leaving the screen; and finally, we adjust the player position. This basically ensures that the game adjusts to the browser dimensions. This might also be where you would determine if the window was made so small that the game could no longer be played. The top line is because the parameter comes through as null. If you run this game, you’ll see that you can move the square around the screen, increase and decrease its speed, and stop. Not exactly the next Call Of Duty, I’ll grant you, but the foundation of a game, certainly. Not sure this qualifies as a game, but it’s a computerised version of the building blocks that you might give to a three-year-old. What can I say, it was a nice way to spend a Sunday afternoon ! This entry was posted in C#, Game Development, Unity and tagged BehaviourScript, Blocks, c#, Cube, Drag, Drop, Game, MonoBehaviour, OnMouseDown, OnMouseDrag, Script, Unity on January 9, 2017 by pcmichaels. As you can see, it’s a basic cylinder (a cup), so a box collider would add eight collision points. A mesh collider generates a point for each of the 496 vertices. So, whilst it’s more accurate, it uses more resources. 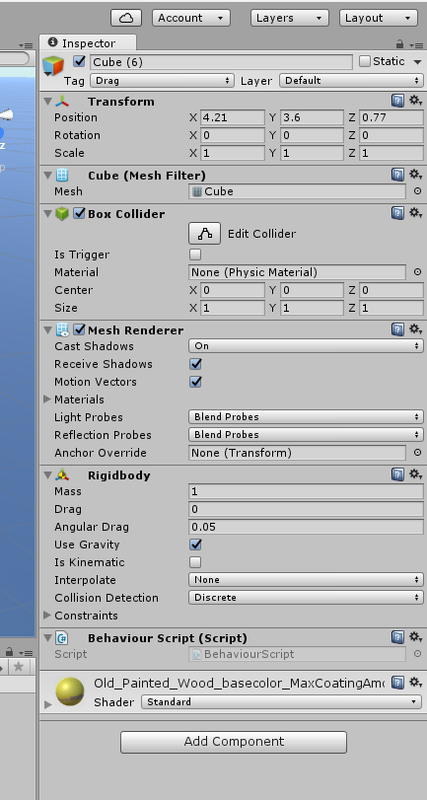 Okay, so now I’ve said why you shouldn’t use a mesh collider, I’ll cover how to use them. The manual for this is here. 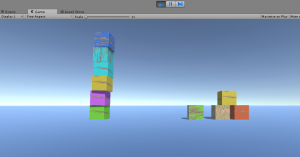 This entry was posted in C#, Game Development, Unity and tagged 3D, Box Collider, Collider, mesh, Mesh Collider, Unity on October 19, 2016 by pcmichaels. I’m currently writing a breakout style game (which, if you’ve seen any of my previous posts, you might have divined). One of the things that I would like to do with this, without having to play through all the levels is to complete the level quickly. This led me down the path of creating a “Cheat” button. However, for those amongst you that remember the ZX Spectrum, the makers of Jet Set Willy may have had a similar idea, but left the “Pokes” in the final game. To avoid this, I thought it must be possible to use a feature such as the compiler directive in C#. In fact it is. Unity has its own, and one is to determine whether you’re running in the editor. This particular cheat just makes all of the bricks fall out of the sky. 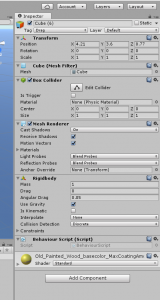 UNITY_EDITOR is one of a list of pre-defined “Platform Defines” that can be found here. This entry was posted in C#, Game Development, Unity and tagged Cheat, Compiler Directives, Debug, Platform Defines, Unity on January 22, 2016 by pcmichaels. This describes a method of persisting data in Unity. For example, saving and loading the current game level. The next stage is to plug this into Unity. I put the following in a Master Script (which is essentially just a script associated with an empty game object). I’ve seen plenty of articles on using serialisation for this, and that would obviously have the same effect, but this is another option. 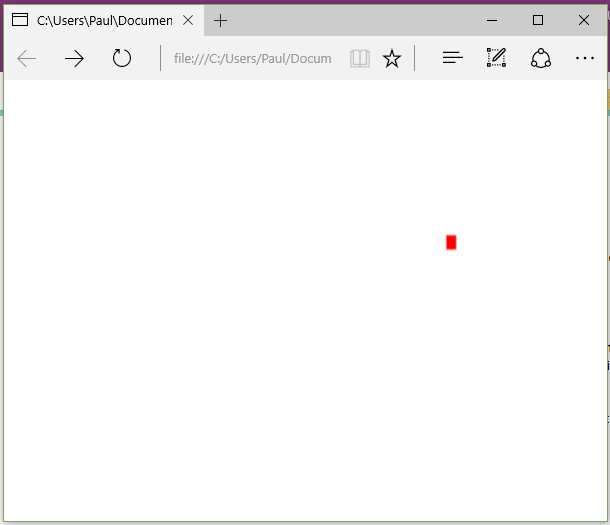 This entry was posted in C#, Game Development, Unity and tagged exit, Game State, Level, Load, LoadGame, OnApplicationQuit, Persist, quit, Save, Save File, SaveGame, static, Xml, XmlDocument on January 15, 2016 by pcmichaels. I’ve used the idea of a “Master Script” to deal with the queue, and this can be queued to from somewhere else in the game, which makes it more flexible. This entry was posted in Game Development, Unity and tagged Action, can only be called from the main thread, Dequeue, Dispatcher, Enqueue, FindGameObjectWithTag, FindGameObjectWithTag can only be called from the main thread, gameObject, Instantiate, Invoke, Thread, Threading, Timer on December 31, 2015 by pcmichaels.